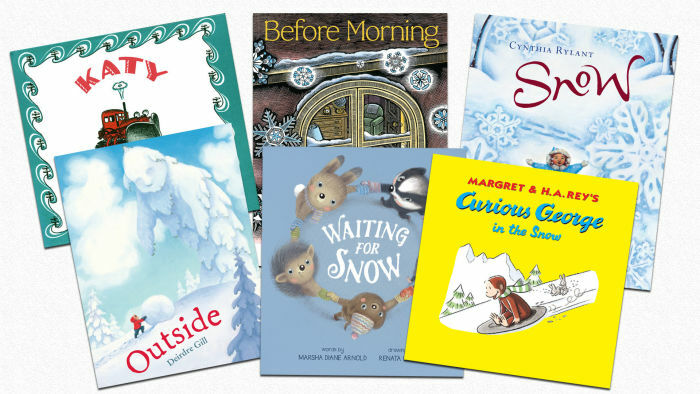 Snuggle up and read one of these timeless winter tales. We love snowy days! Is there anything more magical than waking up to a white, winter wonderland, or watching snow fall gently outside from the cozy warmth of your home? For kids, snow means snowball fights, sledding and, perhaps, an unexpected day off from school. Sure, snow can be a pain to shovel and complicate transportation, but what would winter be without the white stuff? So we say, three cheers for snow, and we're celebrating with 6 of our favorite books that are perfect for cozy winter reading. George and the man with the yellow hat enjoy watching the winter sports competition. When they stop to warm up with some cocoa, George's curiosity about the racing equipment leads to some wild rides up and down the slopes. eBook available in Curious World app! This is the classic tale of Katy, a brave and untiring tractor, who pushes a bulldozer in the summer and a snowplow in the winter, making it possible for the townspeople to do their jobs. The joy and wonder of a snowy day is brought to new life in this destined-to-be-a-classic picture book. 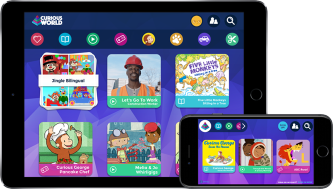 Winner of Amazon Best Book of 2016 for Children Ages 3 to 5, Publisher's Weekly Best Book of the Year, School Library Journal Best Book of the Year, and many more! The lyrical descriptions of the sights and feelings evoked by falling snow blend gorgeously with the rich and beautifully illustrated world, in which a young girl, her friend, and her grandmother enjoy the many things a snowy day has to offer. Badger cannot wait one more minute for it to snow. When his friend Hedgehog explains that everything comes in its time, Badger is as unconvinced and impatient as ever. But Badger's friends have a few tricks up their sleeve to try to get the snow's attention and distract their pal in the meantime. Visit us on Facebook and share with us your favorite wintertime reads!